Since BOBJ migrated their website to SAP we’ve found it quite challenging to find anything . However, below is a list of links that we thought you might find useful. It not only includes a registration link for our upcoming Webinar tomorrow which features two very well known Xcelsius Gurus: Mico Yuk (of EverythingXcelsius.com) and Ryan Goodman (Centigon Solutions/Xcelsius Evangelist) discussing their ‘Top 10 Excel Tips for Success’, but also a list of other great Xcelsius Webinars for 2008! * SPECIAL NOTE: We heard that Donald Maccormick might help kick off the 2009 Business Objects Webinar Series (on SCN) with “The Amazing Xcelsius 2008 SDK (and Why It Matters to Everyone).” You won’t want to miss this one! More details next year. Enjoy! We hope you find these links useful. Sign up by clicking here to be notified of upcoming webinars first! PS – We’d like to hear what kinds of webinars you want to hear? Please send an email with the subject ‘Webinar Topic’ and include a brief explanation of the kind of information you’d like SAP to do a webinar on. Please use the links below to share this article with others if you found it useful! Happy Holidays! Tip #10: How to Export Data from your Xcelsius Model? Simple Answer: Yes, let us introduce you to the Xport Wizard! As many of you may know, Ryan Goodman, one of the original Xcelsius Evangelist has started his own company Centigon Solutions…and also has his own blog www.ryangoodman.net/blog. Since we’ve known Ryan it has really been a pleasure. As an Evangelist of Xcelsius, Ryan was not only a former Xcelsius Consultant at Business Objects…but he continues to create innovative software and most recently Xcelsius 2008 Add-ons for Xcelsius 2008 through his company Centigon Solutions. Exporting data from your Excel dashboard has never been easier! Xport Wizard Works in 3 Easy Steps (click on image below for full details)! Don’t take our word for it! Sign up for a free trial now! Oh, and did we mention that they provide superior support? We plan to a do a series on Centigon’s components, so be sure to subscribe to the blog not to miss it! Which Xcelsius 2008 License to Purchase? Remember, if you are going to upgrade or purchase Xcelsius Engage Server you need to download the SP1 version. Click here to read more on some of the changes that were made to Xcelsius Enterprise 2008. Is there someone that you think may be interested in this article? Feel free to share (click below). Tip #9: How to Hide your Web Connectivity Buttons (Xcelsius 4.5)! Solution? Many fail to realize that you can use dynamic visibility to show/hide these components as well. 4. Voila! When you go to ‘Preview Mode’ the buttons are now HIDDEN! 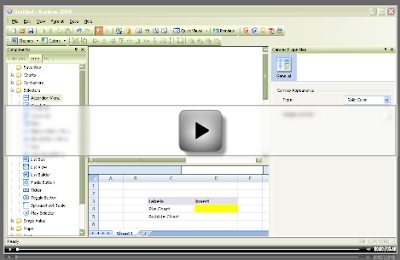 Tip #7: Xcelsius Dynamic Visibility Video Tutorial! We get so many questions from new users asking how to use the ‘Dynamic Visibility’ feature in Xcelsius 4.5 & 2008 that we created a short video tutorial! Before you Press ‘Play’ lets define Dynamic Visibility in Xcelsius: The ability to choose when a specific component is shown on the screen. The most common method is to use one of the Xcelsius selector components such as the combo box, list view, or toggle button to allow the user to select what he/she wants to see on the dashboard at a given time. There are a few ways to accomplish this, but our tutorial covers the basics. Enjoy! NOTE: In order to provide the best video quality and sound, please disable popups to view the video. If there someone that you think may be interested in this article please share with them by clicking the ‘Share’ button below. Xcelsius 2008 Demo Source files found?! Has anyone ever wondered whatever happened to the Xcelsius 2008 .xlf source files for the demos and samples provided on the current Demo website (see below)? For those who are familiar with the old Xcelsius 4.5 website you will recall that Business Objects used to provide the .xlf source files for most of their demos. Might be useful to refer to this article on how to open Xcelsius 4.5 files in Xcelsius 2008. If you find this article interesting / useful please rate or share with others. Also, don’t forget to sign up for our email subscription to get all news first! Guru Tip #6: How to still purchase Xcelsius 4.5? Problem: Lately, there here has been a number users asking where and how they can still purchase Xcelsius 4.5 due to the numerous bugs surrounding the current release of Xcelsius 2008. SAP (formerly Business Objects) is no longer selling Xcelsius 4.5. Well we did some research and found that Amazon is the best place to obtain the software. (Keep in mind that most sites NOW require that they ship you the software as opposed to downloading it online). The Standard version allows the user to create dashboards, scorecards, dynamic charts and graphs, business presentations and much more right from their desktop. 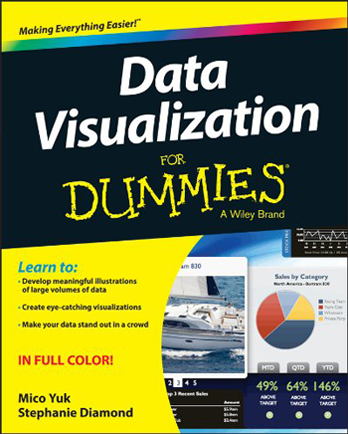 This is the most basic version of the software and is great for Excel users who just need a more visually enhanced way to display their data. Note: This version does not allow the user to connect their dashboards to databases or other outside data sources such as XML etc. Crystal Xcelsius 4.5 Professional is for those who want to take their interactive data visualization to the next level. You receive all the capabilities of Crystal Xcelsius Standard, plus advanced components and key features like drill-down animated charts, one-click export to PDF, broad Excel function support, and more. We highly recommend Excel power users start with this version as the addition functionalities can prove most useful. If you are currently using the Xcelsius 4.5 Standard version and would like to take your visualizations to the next level by upgrading to Xcelsius 4.5 Professional this version is for you! International buyers please click here to purchase. ** Once you load the software don’t forget to download the latest hotfix here! If this Xcelsius Guru tip was helpful please rate it and leave feedback! We would love to hear from you! Why not share (click on button below)?